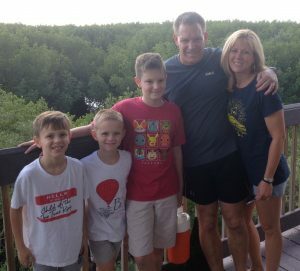 If you have ever seen a movie or documentary depicting Jesus entering Jerusalem on Palm Sunday, you undoubtedly realized why the Bible calls it The Triumphant Entry. It’s a grand and ceremonious scene. 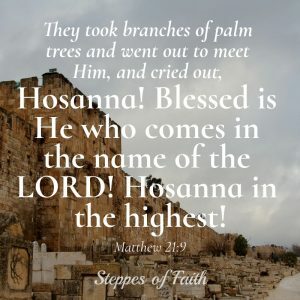 The sun is shining, the crowd is massive, majestic music is playing, palm leaves are waving everywhere, and the people are repeatedly shouting, “Hosanna! 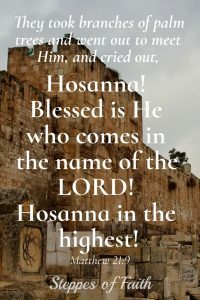 Hosanna in the highest!” It’s a beautiful moment in Jesus’ life. But, did you notice the gate He goes through to enter the city? At first, you might wonder why a dusty old gate would have any significance. It’s just a way to get into the city, right? It’s true that it was one way to get into Jerusalem in Jesus’ time. One of eleven, in fact. But, have you ever thought about why Jesus chose that one gate in particular? 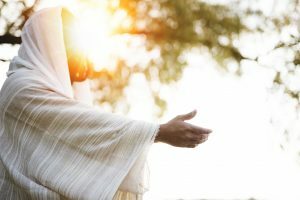 It turns out the gate Jesus entered through on His way to the cross later that week has some significant historical and Biblical meaning that fulfills Old Testament prophecy as well as forecasts the future. Currently, there are only eight gates to the Old City of Jerusalem remaining and only seven of them are in use. Most of the gates were rebuilt over the top of the original first-century gates in the 1500s after the present city wall was constructed not by the Jews or Christians, but by the Muslim ruler Suleiman the Magnificent of the Ottoman Empire in 1538 AD. The East Gate is the oldest gate in Jerusalem and likely the one Jesus used on Palm Sunday since it had the most direct entrance to the original Temple. It was the one He could see from the Mount of Olives where He prayed, and on a clear, sunny day He could see directly into the Temple. Like the others, the gate we see today was built over the original gate which was destroyed by the Romans in 70 AD. Because of its proximity to the Temple, the East Gate has become very important (and controversial) to Jews, Muslims, and Christians alike. Here’s why. 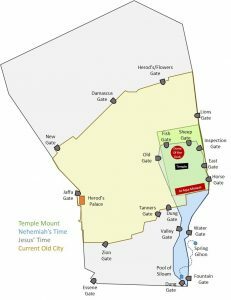 According to Jewish literature, the East Gate is where the Temple Messenger passed through on the way to taking a sacrificial lamb to the desert. It also remains as an indication of their belief of where the Messiah (who is yet to come) will re-enter the city on Yom Kippur. For Muslims, they believe the East Gate is where Allah received his final judgement and is the site of future resurrection. No doubt they also remember who built the current city wall. 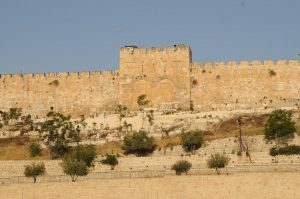 For Christians, the East Gate is where Jesus made His Triumphant Entry (John 12:12-15). It is likely also the gate He exited through to pray in the Garden of Gethsemane the night of His arrest (Matthew 26:30,36), and the one He passed through 40 days after His resurrection when the disciples accompanied Him to the Mount of Olives before His last ascension into Heaven (Acts 1:9-12). The Bible records in Acts 1:10 two angels standing with the disciples as they watched Jesus ascend into the clouds. After a moment of standing there, the angels reassure the disciples that Jesus will return to the earth the same way He was taken. Most scholars interpret this to mean that Jesus will return at the Mount of Olives, and the Jews believe it will happen during Passover, which has Biblical merit. But, some early church founders put the angels’ words together with the prophecy found in Ezekiel 43:1-5 where Ezekiel saw the glory of God returning to the Temple “through the gate facing east” and filling the Temple again. Seleiman the Magnificent so strongly believed the prophecy that he sealed up the gate he built only three years earlier to prevent Jesus from coming. The gate has remained sealed ever since. Suleiman also created a cemetery just outside the gate in the Kidron Valley as an extra layer of precaution in the belief that the Messiah would never step foot in such a place. The fact that Jesus chose the East Gate to make His triumphant entry into Jerusalem on Palm Sunday is significant enough. But, did you know that the East Gate also had four other names? No matter what you want to call it, each name points to the glory of Jesus Christ. As the King of Kings, the Lord is worthy of being honored with gold as exemplified when the three kings visited Jesus at His birth (Matthew 22:11). As the Messiah, Jesus offers us mercy and eternal life (John 3:16). And, He is truly beautiful. As you worship the Lord this Palm Sunday and remember the importance of His willing entry into Jerusalem that week, take a moment to think about the gate He chose to kick off all the events of those final days of His earthly life. 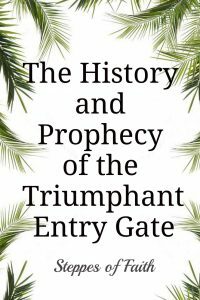 No matter which faith group you follow or what you want to call it, the gate of the triumphant entry describes the very nature of God. Muslim, Jewish, or Christian, perhaps this is where we can all agree. God is truly golden, merciful, eternal, and beautiful. 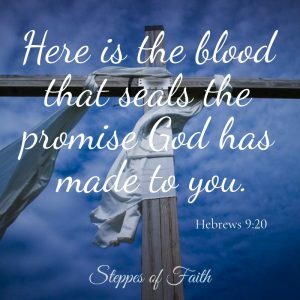 For Christians, we know He proves His glory through His sacrificial love on the cross five days after Palm Sunday and His triumph over death three days after that. What’s even better is that He continues to offer mercy and salvation to us until He comes again. Have you ever thought about the meaning of the gate Jesus used on Palm Sunday? Are there other parts of the Bible you find historically interesting? Please share it with me in the comments below, or you can contact me here. I love Bible history! 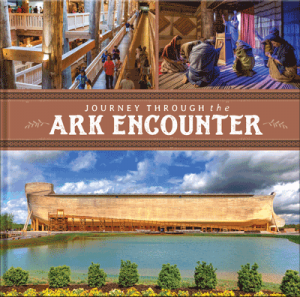 Let’s discover the Bible together. 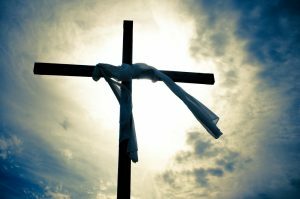 Too often, churches today skip talking about Palm Sunday and move straight to Good Friday and Resurrection Sunday. 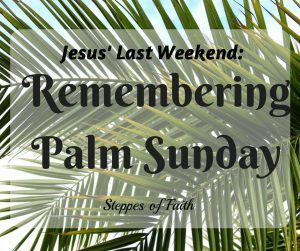 In this article, I explain why it’s important we remember Palm Sunday and how Jesus’ triumphant entry fulfills Biblical prophecy. The internet is full of great articles about the East Gate and its relation to both history and prophecy. 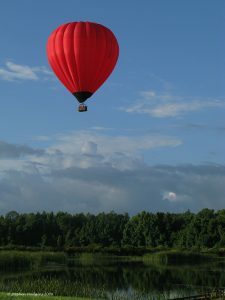 If this is something that interests you, here are the links to a few of them at Culture Up, Agape Bible Study, and two at Got Questions here and here. No need to worry, none are affiliate links. Just read and enjoy! The story of the eastern gate is something I have always known my grandmother told me all about it. I am 64 years old. You told I just like my grandmother did. Do they really think they can keep The Lord out ……..